In 2015 we created The Captain's Crackers- oat based, made with honey, cracked black pepper, sea salt and filled with seeds. They are wheat and dairy free, and the perfect accompaniment to your favourite cheese, chutney or simply on their own. 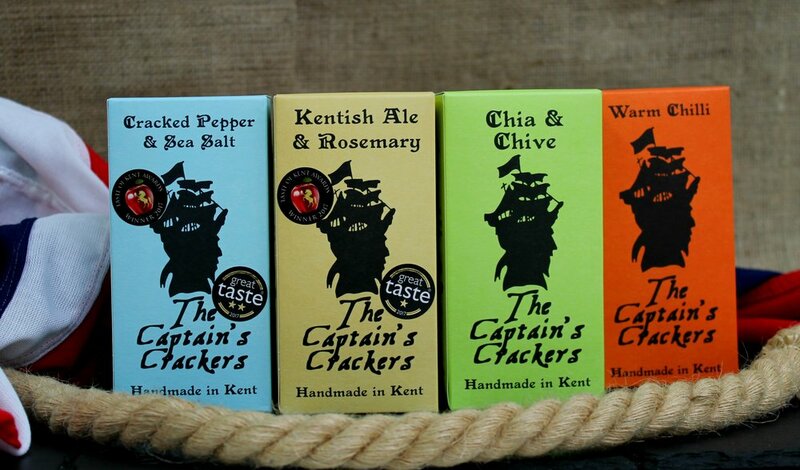 We have since added three varieties to our cracker range- Kentish Ale & Rosemary, Chive & Chia and Warm Chilli. 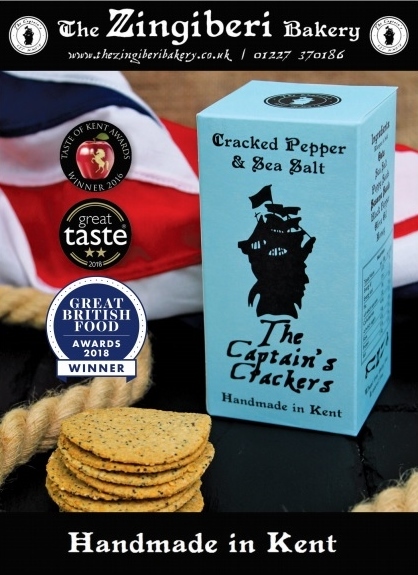 The Captain's Cracked Pepper & Sea Salt cracker won Kent Food Product of the Year in 2016, as well as the bakery and confectionery class at The Taste of Kent Awards. In 2017 and 2018 it was awarded 2 Stars at The Great Taste Awards. It is currently shortlisted as a finalist in the savoury snack category in the Great British Food Awards 2018. Our Kentish Ale & Rosemary crackers won the bakery and confectionery class at The Taste of Kent Awards 2017. They also gained a Star at The Great Taste Awards in 2017 and 2018. In 2018 The Captain’s Warm Chilli Crackers also gained a Star at The Great Taste Awards.